Richard Folkson, President of the Institution of Mechanical Engineers, made his first visit to Eurostar’s state of the art depot – Temple Mills - in Leyton, East London on Friday. 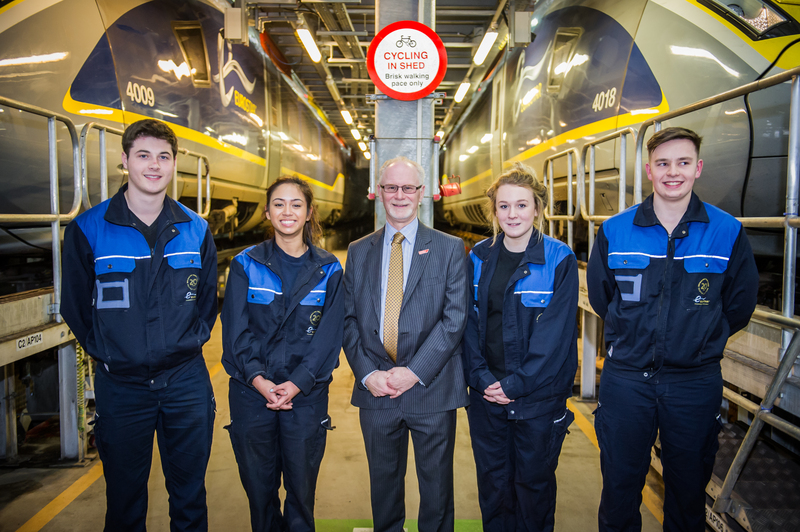 Led by Eurostar’s apprentices, the President was offered a guided tour of the site where the high-speed rail operator maintains its fleet of 27 trains. Temple Mills spans over 38 acres and houses eight 400-metre tracks in the main shed, making it one of the largest of its kind in the UK. 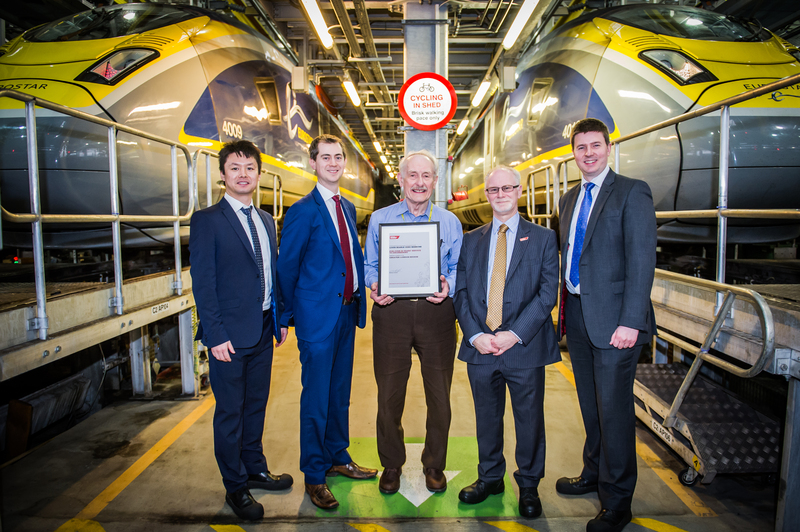 The Institution’s President was also able to take in the newly renovated area dedicated to maintaining Eurostar’s new e320 trains, which started commercial service in November last year. Alongside the Eurostar apprentices, a group of students from the Leigh UTC joined the visit. Eurostar has supported the university technical college since 2012, as part of its commitment to encourage and develop future engineers. Eurostar’s successful engineering apprenticeship scheme has been running for the last 18 years, and sees a very high demand for the six new roles made available every year. Apprentices are able to work alongside experienced engineers, and gain an in depth insight into the complexities of maintaining the UK’s only fleet of international high-speed trains. While Eurostar actively nurtures new talent, there are many members of staff who have been with the company from its conception, 25 years ago. 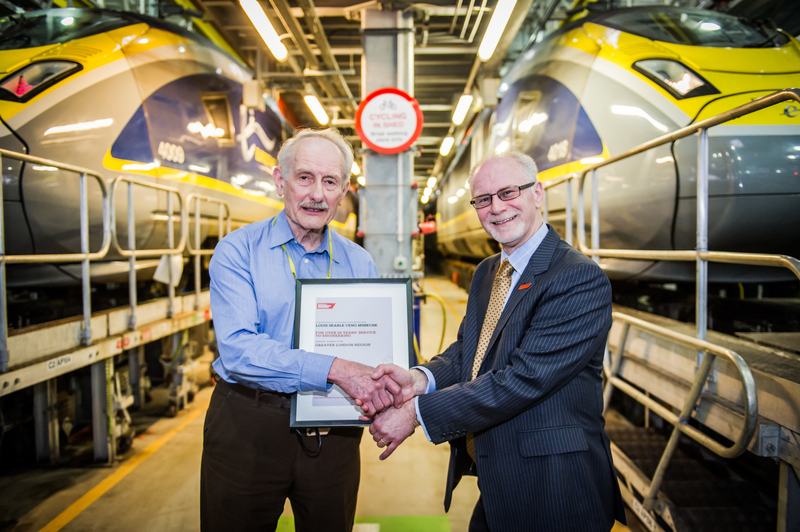 One of those is 79-year old Louis Searle who was presented with a certificate during the visit to celebrate 55 years in the railway industry. 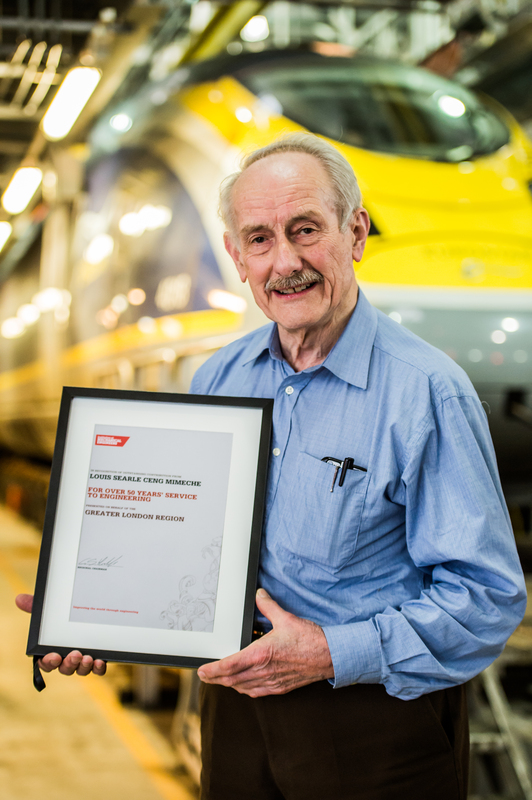 Louis is Eurostar’s Chief Mechanical Engineer, and as he approaches his eightieth birthday his enthusiasm for the railway remains, as he provides an incredible inspiration to young men and women starting their careers in this rapidly growing world-wide industry.